Can Enterprises Govern Machine Learning at Scale? Traditional approaches to governing artificial intelligence (AI) and machine learning (ML) focused on explaining how models function internally. But these approaches are currently preventing the adoption of ML across the enterprise. 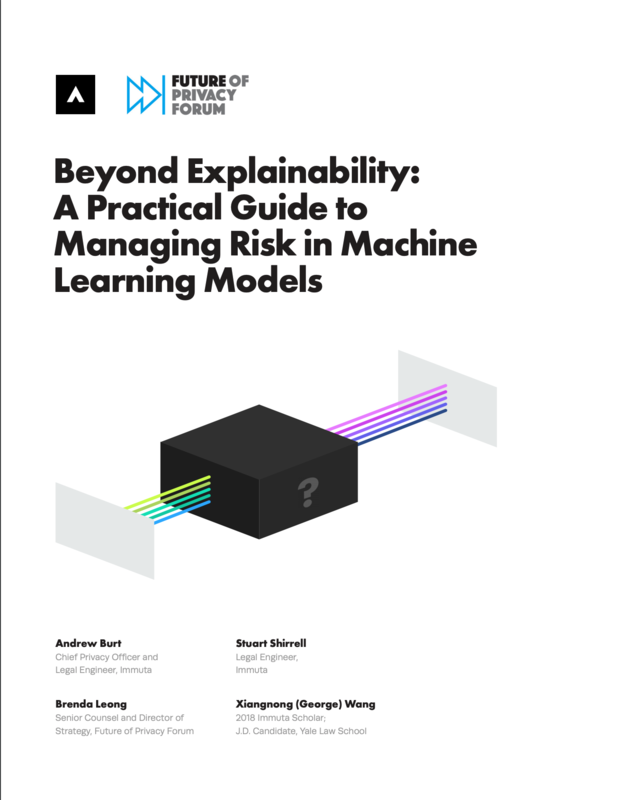 In this white paper, Immuta and the Future of Privacy Forum provide the first-ever standard for managing risk in AI and ML, focusing on both practical processes and technical best practices "beyond explainability" alone. The ultimate goal of this white paper is to enable the safe, ethical, and high-impact use of ML. Yes, send me occasional emails including useful content, webinar and event invitations, and product info. © 2018 Immuta Inc. All rights reserved.